Dr. Bryan is a Scientist in, and Head of, the Oceanography Section of the NESL Climate and Global Dynamics Division. His research focuses on the role of the ocean in the climate system. Two major themes within that focus have been the thermohaline circulation and its response to climate change, and the role of mesoscale eddies in the ocean general circulation. Numerical models have been the primary tool used in his research. He has been a major contributor to the development of the ocean component of the Community Climate System Model from its inception to the present, and was the architect of the original hub-and-spoke design of the flux coupler. He has applied his expertise in ocean modeling in observing system design studies for the TOPEX, GRACE, and AQUARIUS satellite missions. 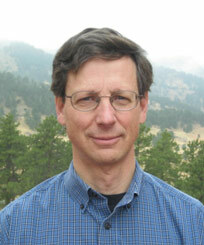 He has been a member of both US and international working groups and panels for the World Ocean Circulation Experiment, the Climate Variability and Predictability Program, the Community Climate System Modeling project, and the National Aeronautics and Space Administration Ocean Topography, and Salinity Science Teams. He co-chaired the NSF ad hoc Committee for a Petascale Earth System Collaboratory. He is currently an editor for the Journal of Geophysical Research.